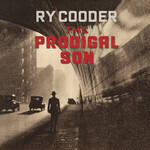 Recorded in Hollywood, CA, and produced by Ry and his chief collaborator, drummer Joachim Cooder, The Prodigal Son is all America - our spiritual, hopeful voices, our raw cries and our sly provocations, voiced through the songs of the Pilgrim Travelers, The Stanley Brothers, Blind Willie Johnson, and Ry Cooder himself. The album's 11 tracks, including three Cooder originals and a carefully selected collection of his favourite spirituals of the last century, share a particular resonance in this time and place, forming an unflinching look at the state of play in modern America. "I do connect the political/economic dimensions with the inner life of people, since people are at risk and oppressed on all sides in our world today," he stated. "There's some kind of reverence mood that takes hold when you play and sing these songs. 'Reverence' is a word I heard my granddaughter's nursery school teacher use, a Kashmiri woman. She said, 'We don't want to teach religion, but instill reverence.' I thought that was a good word for the feeling of this music." For nearly 50 years, the immense scope and influence of Ry Cooder's music has been felt as much, or more than heard. As master musician, producer, songwriter and sage, the Santa Monica, California native has explored music and culture from across the city, the state, the country and around the world. Framed by his expressive vocals and elegant guitar work, this is music for these times. A deft commentary on our ailing moral state, The Prodigal Son is a fearless dive into the country's soul, and the man, Ry Cooder.